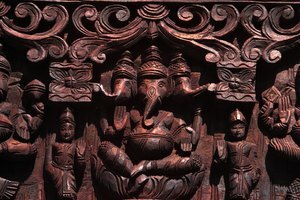 A dancing four-armed Ganesh is a popular and powerful Hindu god. The Hindu temple is typically an ornate structure with a central altar featuring a representational sculpture of a principal deity and niches where additional statues of deities may be worshiped. Hindus attend temples during special festivals to honor their many gods and goddesses and to petition for specific blessings. But most daily worship takes place at home, before an altar maintained as the focus of devotion for the whole family. A home altar in a Hindu household is given the most auspicious location in the house. Ancient scripture called this the devatarchanam, the place for honoring divinity, according to "Hinduism Today Magazine." The ancient Vedic science of architectural design, Vaastu Shastra, specifies the northeast corner of the house for the altar. Northeast is the mystical direction of Isana, a manifestation of the all-powerful deity Shiva. The altar space is used solely for worship, even if the home is very small and only a portion of a room can be set aside. In this space, members of the family gather for daily rituals, individual and group meditation and private worship and prayer. Most home altars are built around an image or figure of the family's favorite god or goddess. 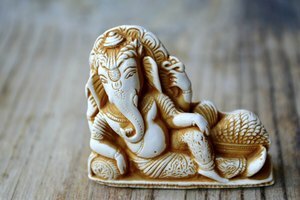 But each family member, even the children, eventually chooses their own deity to worship so there may be several gods represented or there can be several small altars in the home. The deity is visibly present in a statue or painting -- a Shiva Nataraj, or dancing Shiva, embodies the playful creative nature of the god. A ferocious Kali or Durga statue is a fierce form of the creative-mother energy of the universe. 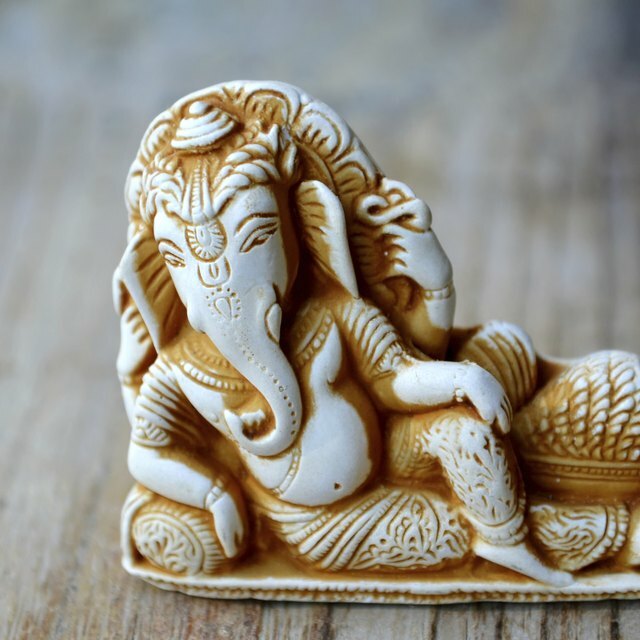 An elephant-headed Ganesh offers help in overcoming difficulties and grants favors. 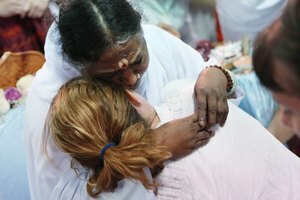 The god or goddess image always has eyes, often very large ones, because presenting oneself before the altar is an opportunity for darshan, that is a visual encounter with the deity in which a devotee receives great blessings. Puja, or ritual worship, is performed at least once a day but ideally three times. 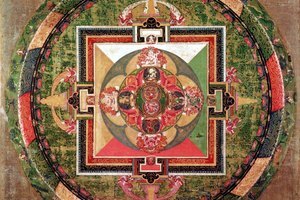 It may include mantra chanting, pranaming or touching the forehead to the ground in front of the altar numerous times, devotional ceremonies, or making offerings to the god or gods displayed on the altar. 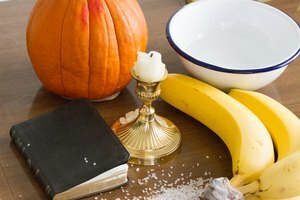 In addition to the image of the deity, a home altar will have votive candles, dishes and baskets for receiving offerings of spices, flowers or other gifts. Altars also hold incense holders, lamps for burning ghee -- clarified butter, containers of vibhuti -- sacred ash, kumkum -- red powder for making bindi dots on the forehead and chandana -- sandalwood paste for anointing the statue. Any item used for the altar is kept meticulously clean and used for no other purpose. Home altars are treated like temples -- one bathes before entering, or at least washes feet and hands, and puts on fresh clothing. Shoes, if worn in the home, are removed. Every participant in a formal puja brings an offering -- a flower, a coconut, a candy or confection called prasad, a stick of incense, some food or pure water. For morning puja, a statue is ritually bathed with water, milk and honey, dried, anointed with sandalwood paste and dressed in a beautiful robe. A bell or conch shell focuses the mind with its pure vibration. The end of the puja is marked by arati, an offering of light to the deity in which a devotee moves a candle or burning lamp in a circular pattern while chanting before the altar. Crawford, Benna. "The Hindu Family Altar & Deities." 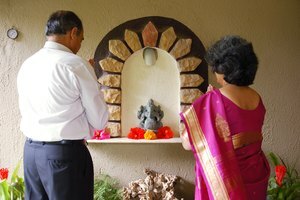 Synonym, https://classroom.synonym.com/the-hindu-family-altar-deities-12086065.html. 29 September 2017.